With complimentary Post Soothing Mask & Scalp Massage with add-on option only. Using a scalpel and a delicate touch, we simply abrade the surface of the skin using light feathering strokes. It is a great treatment for those who have excess vellus hair on the skin, as this hair often causes a buildup of dirt and oils in the follicles, so removing the hair gives the client brighter, healthier looking skin. This treatment is a good alternative for clients with sensitive skin who are not suitable for Microdermabrasion. There is no down time associated with the treatment. The treatment can be used as a standalone treatment or in conjunction with a chemical peel for better penetration of product. For best results we recommend a course of 4-8 treatments with 3-4 week intervals if you require this treatment for brightening and skin exfoliation. Results will be seen with each and every treatment, and treatments can be ongoing. If you are requiring this treatment for the hair removal benefits, the treatments are ongoing and you can do these around 6-8 weeks apart. 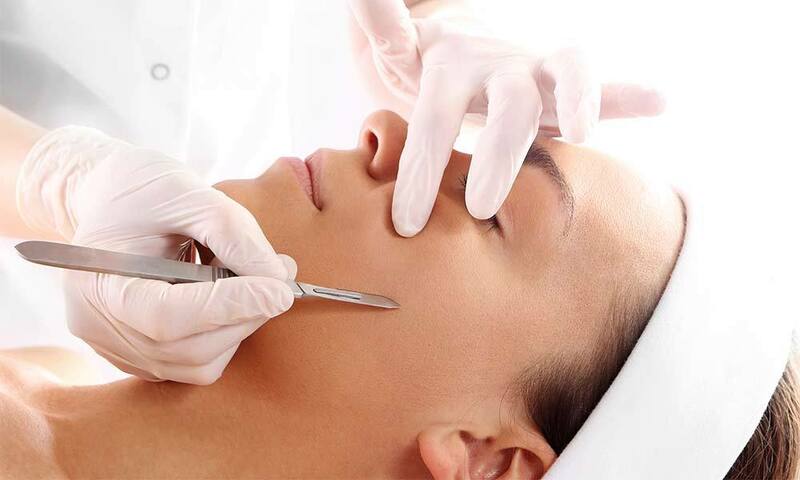 At Shahnaz Husain Beauty Clinic we only use high quality, one time use sterile devices. We pride ourselves on both our knowledge and experience but also on our thorough consultations that ensure we have all the necessary information to minimise the risk of complications.